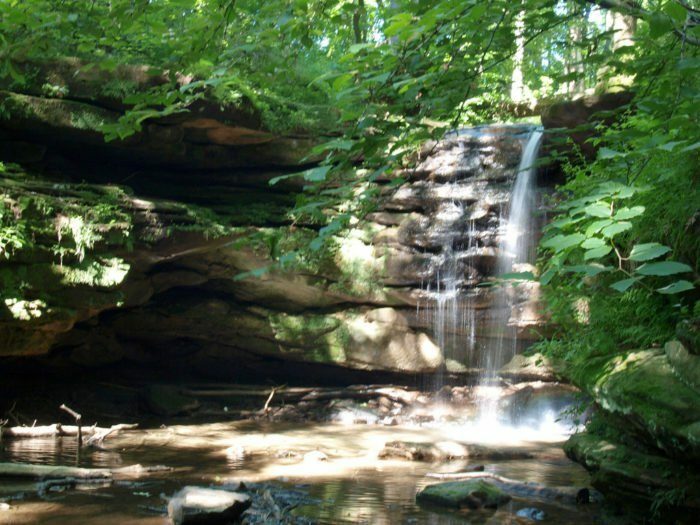 If you love chasing waterfalls, then Ohio’s hiking trails are for you. (For a weekend waterfall road trip, click here.) 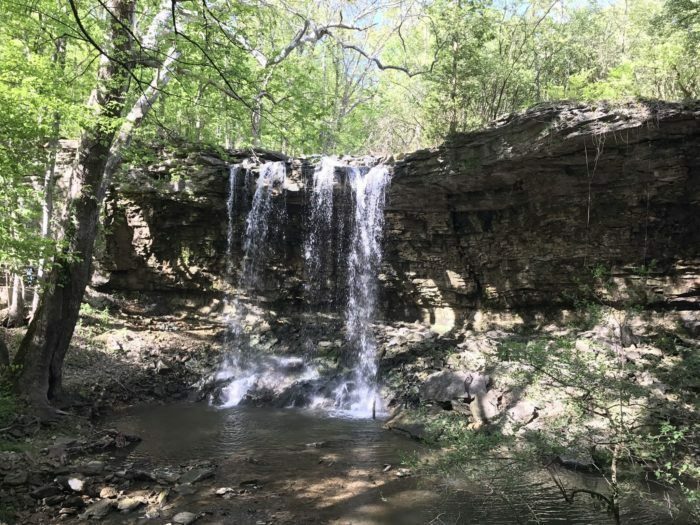 The following are some of our favorite waterfall trails in the state. Find your sense of adventure, add these to your bucket list and explore your home state. 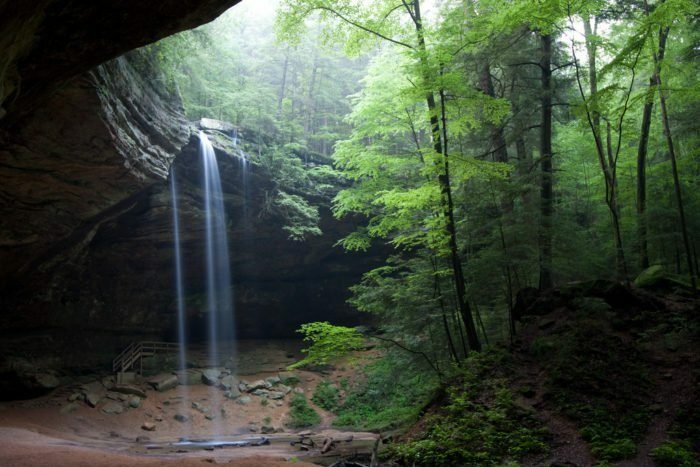 Several beautiful waterfalls can be found along the Old Man's Cave trail within the Hocking Hills State Park. This impressive hiking spot is stunning all year-round, but the falls are best seen after a notable rainfall. (Pictured: Upper Falls.) 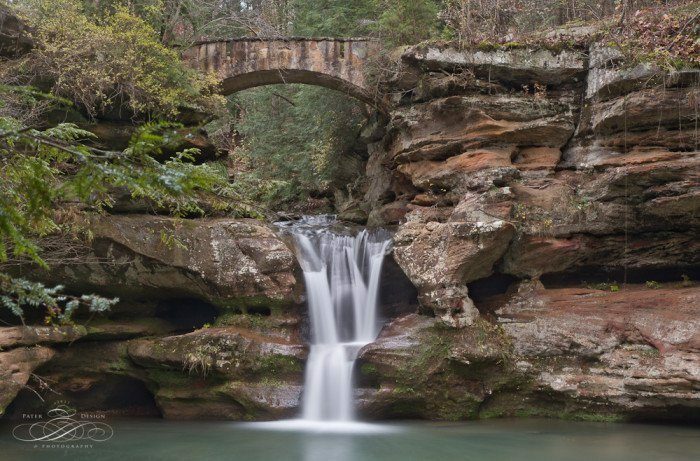 Hocking Hills State Park is located at 19852 Ohio 664, Logan, OH 43138. The trek to Charleston Falls is perfect for a day hike when you need a little adventure in your life—but not too much. The 1.8-mile loop to the falls is a fairly easy hike and there's also a small cave that's fun to find. 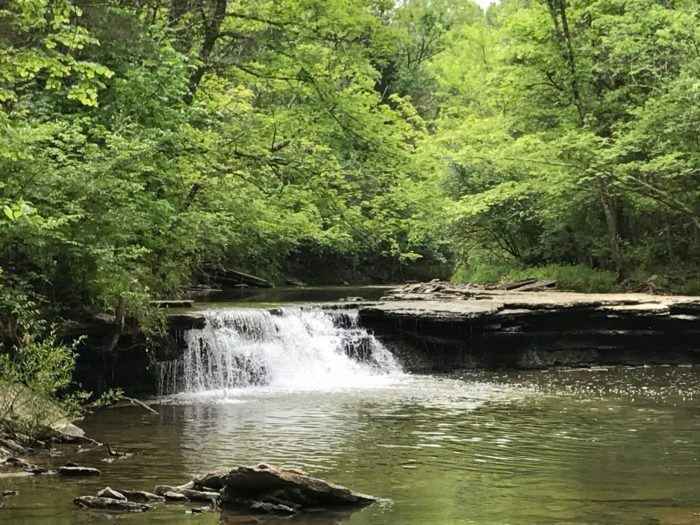 Charleston Falls Preserve is located at 2535 Ross Rd., Tipp City, OH 45371. The Inman Trail takes you to both Glen Helen Falls and the official "Yellow Spring" the town of Yellow Springs is named after. (Pictured is Glen Helen Falls, or "The Cascades.") It's a loop trail, categorized as "moderate" and it begins at the preserve's main entrance. 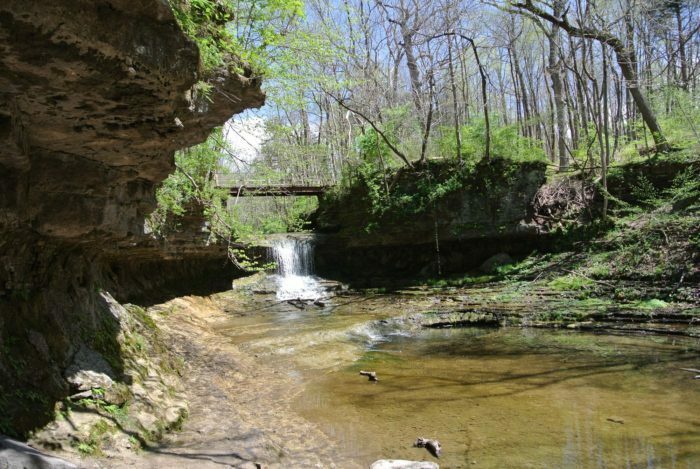 Glen Helen Nature Preserve is located at 405 Corry St., Yellow Springs, OH 45387. This breathtaking 65-foot waterfall flows from Brandywine Creek. 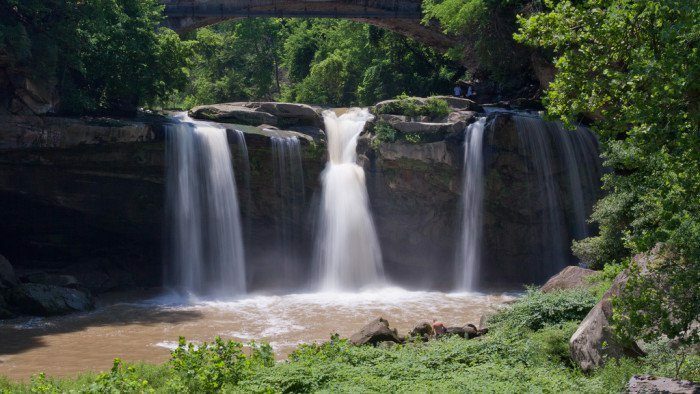 These beautiful falls are a popular highlight within Ohio's very own national park. Near the falls, the 1.5-mile Brandywine Gorge Trail allows you to explore beyond the waterfall. 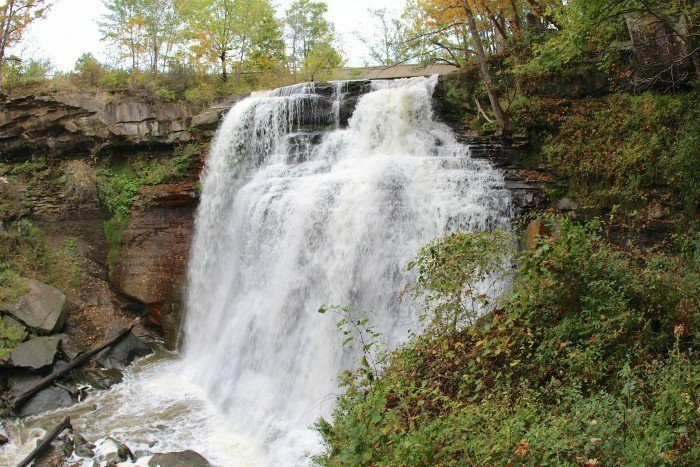 Brandywine Falls is located at 8176 Brandywine Road in Sagamore Hills Township. This Tuscarawas County waterfall is part of the Beach City Wildlife Area. It's best seen after heavy rainfall, but it's a gorgeous hiking area year-round. 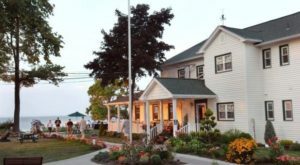 You'll find it at 96 Dundee Wilmot Road Northwest, Beach City, OH 44608. 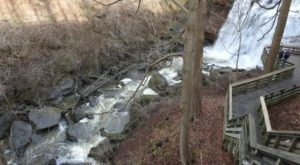 The trek to Horseshoe Falls follows the park's 11.5-mile Perimeter Loop Trail. 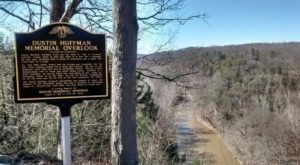 (You can hike the whole loop trail to see the falls, or just park your vehicle at Flat Fork Ridge and follow the yellow markings.) Although it's not a towering waterfall, these off-the-radar falls are picture perfect. 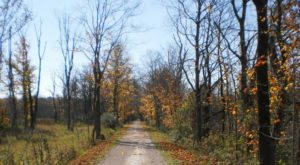 The Flat Fork Ridge Recreation Area is located on Clarksville Rd., close to the Caesar Creek Visitor’s Center (which is located at 4020 N Clarksville Rd., Waynesville, OH 45068). The short and sweet .5-mile trek to Cascade Falls is a popular spot for locals and visitors alike. The Yellow Trail even features a recess cave beneath Cascade Falls, which gives you a really unique perspective of the falls. 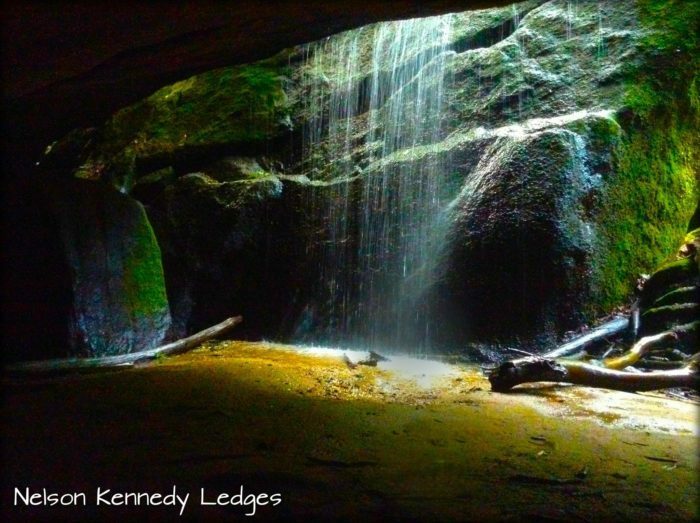 Nelson Kennedy Ledges State Park is located at 12440 OH-282, Garrettsville, OH 44231. 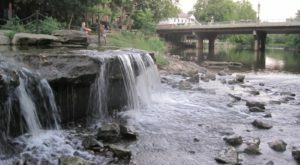 Within Cascade Park close to downtown Elyria, impressive waterfalls flow from both the East Branch and West Branch of the Black River. (Pictured are the West Falls.) The 1.2-mile loop trail is a must-do. 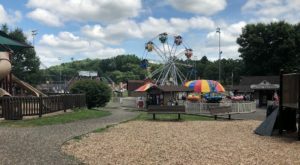 Cascade Park is located at 170 Cascade Drive, Elyria, OH 44035. 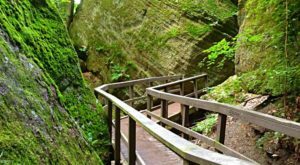 The Ash Cave Trail within Hocking Hills State Park features a .25-mile long Gorge Trail that is wheelchair accessible, as well as a .5 mile long Rim Trail. Most days, the falls that flow from the top of Ash Cave are fairly narrow, but being able to walk behind them is still a magical experience. Ash Cave is located at 27291 OH-56, South Bloomingville, OH 43152. Have you hiked any of these trails before? What others would you add to this list? 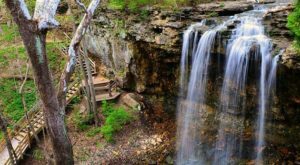 For more waterfall adventures in Ohio, check out our previous article: Here’s The Perfect Weekend Itinerary If You Love Exploring Ohio’s Waterfalls.